1. From the main window, click a task to select it. 2. Click Modify Task to open the task settings tabs. 3. 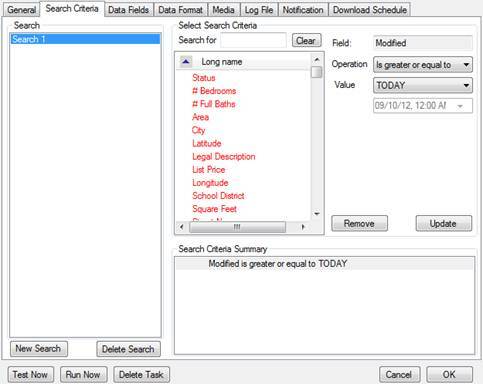 From the Search list on the Search Criteria, Data Fields, Data Format, or Media tab, click the name of the search you want to delete. 4. Click the Delete Search button under the Search list to delete the search. You cannot delete a search if it is the only one in a task.